Ever wondered what our favourite cannabis strains are here at Zamnesia? Wonder no longer, we have put together a list of our top 10. 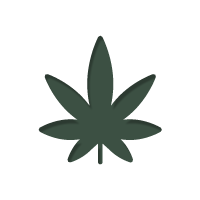 There are quite literally thousands of cannabis strains available on the market today. So understandably, choosing one can be a very tricky task. Having been in the cannabis market for a long time, and being experienced enough to even start up our own brand of seeds, we are often asked what our favourite strains are. So, to shed a bit of light, and hopefully make your decision easier, here are our top 10 favourite cannabis strains (in no particular order). Although very little is actually known about it, Girl Scout Cookies is one of the most sought after and desirable strains of cannabis seeds today. It has been made famous by the many rappers that sing its praises, and has become something of a connoisseur delicacy amongst breeders - all adding to its air of mystique. Girl Scout Cookies produces a very sweet, yet earthy taste and aroma, and induces a happy, euphoric high – making it an excellent choice for anyone looking to chill with friends. In terms of growing habits, Girl Scout Cookies is quite slow. However, good things come to those who wait, and those who have the time and patience for her are rewarded justly with ample yields of some legendary bud. Known as the ‘one hit wonder’, AK-47 is a multiple award winning strain of cannabis seeds that packs an undeniable punch. Even seasoned smokers can easily be overwhelmed by its sheer and unbridled power. But just because it is powerful, don’t be mistaken in thinking it is unrefined – you don’t win awards for simply being strong! AK-47 also has a taste and aroma to match, producing a pungent earthy and skunky flavour. To add a cherry on top, AK-47 is extremely easy to grow, is very resilient to novice errors, and can produce very generous yields – it’s a complete all-star. Critical Kush, as the name suggests, brings the best of the Critical and Kush varieties of cannabis together into one powerhouse strain. It produces a very raw, earthy and woody flavour, and induces a particularly strong indica dominant stone. It is an ideal end of day smoke, when you want to relax and let your body and mind drift away as you chill on the couch – and with a THC content of 25%, there is no question as to whether it will do the job. In the grow room Critical Kush grows short in stature and has a relatively quick flowering time – as you would expect from in indica dominant strain. If you are looking for something to knock you out, Critical Kush cannabis seeds are well worth your consideration. Amnesia Haze is a Dutch coffee shop favourite that has been immortalized for its rocketing cerebral effects. It is the result of breeding some prime US and Dutch genetics, and exemplifies the best of both. It produces a lemony sweet taste and aroma, and induces an extremely strong, euphoric and happy head high. With a number of awards under its belt, Amnesia Haze is a classic worthy of any smoker’s attention – just make sure you don’t get lost in the clouds! Original Sour Diesel is a potent and tasty strain. It is extremely stable, which makes it ideal for cloning, as well as for anyone looking to learn how to clone using a forgiving plant. When smoked, Original Sour Diesel produces that dank, pungent, jet fuel taste and aroma you would expect of any quality diesel strain. The high it induces is very long lasting, happy, and uplifting – making it a great sharer on social occasions. In the grow room Original Sour Diesel grows to medium heights and produces ample yields of some very potent bud. It is another top shelf strain that is well deserving of its place on this list. Believed to be the child of ChemDawg x LemonThai x Pakistani Kush, OG Kush is another strain of cannabis seeds whose origins are shrouded in a good degree of mystery, yet made famous thanks to the adulation of the rich and famous – most notably, rappers. OG Kush produces a smoke with a pine and lemon taste and aroma, and induces an outrageously potent high. It causes an almost instant head rush, and sooths the body with a deep and relaxing stone. In addition to those who are in need of a bit of rest and relaxation, these traits make OG Kush a favourite amongst many medical users. As a grower, OG Kush can be a little challenging to grow, but will thrive under an experienced hand. It is certainly one for the connoisseur. CBD Skunk Haze has everything a medical user could want – namely, an extremely high CBD content measuring at 5%. It produces a clean and citrusy flavour with earthy undertones, and induces a well-balanced mind and body high. This makes it a good daytime smoke, as it doesn’t hit too heavy in the couch lock department - soothing whilst still letting you go about your business. In the grow room CBD Skunk Haze grows as a typical haze strain would, and produces a decent amount of some CBD rich bud. If you are in the market for CBD, then these cannabis seeds are a good place to start. Northern Lights is a strain that has been around for many years, yet still remains a favourite to this day. She is highly regard by many, and a must try for those who have never sampled her delights. The smoke she produces has a citrusy pine taste and aroma, and induces a potent and pleasurable mind and body stone – easing muscles whilst blanketing the mind with a dreamy euphoria. Northern lights is an extremely resilient grower, and has a flowering time of just 7 weeks, which should make this strain of cannabis seeds appealing to all levels of grower. Whether novice or pro, she is well worth your time! The sumptuous mix of Blueberry and Amnesia Haze, Blue Dream has it all, the great taste, wonderful aroma, and stratospheric highs. The smoke is extremely sweet, mixing the blueberry flavour with the citrusy flavours and earthy undertones of a haze. It induces an incredibly potent euphoric and uplifting high that fades into a blissful body stone, easily overwhelming the unprepared. As such, novice smokers should approach with caution. In the grow room Blue Dream grows with a rapid intensity, reaching very tall heights. This gigantic size comes with a bonus though – it produces copious amounts of bud! If you want sky-rocketing highs, soothing body vibrations, and a sweet berry flavour, Blue Dream cannabis seeds are where it is at. For those of you looking to take a little bit of the work out of growing cannabis, or are looking to use an automatic for the first time, we would like to point your attention to Royal Haze Automatic. A combination of Amnesia Haze x Skunk x Ruderalis, Royal Haze automatic encapsulates everything loved about Amnesia Haze, all in autoflowering package that goes from seed to harvest in as little as 10-12 weeks. Be ready for some potent highs and mouth-watering flavours with this automatic beauty.